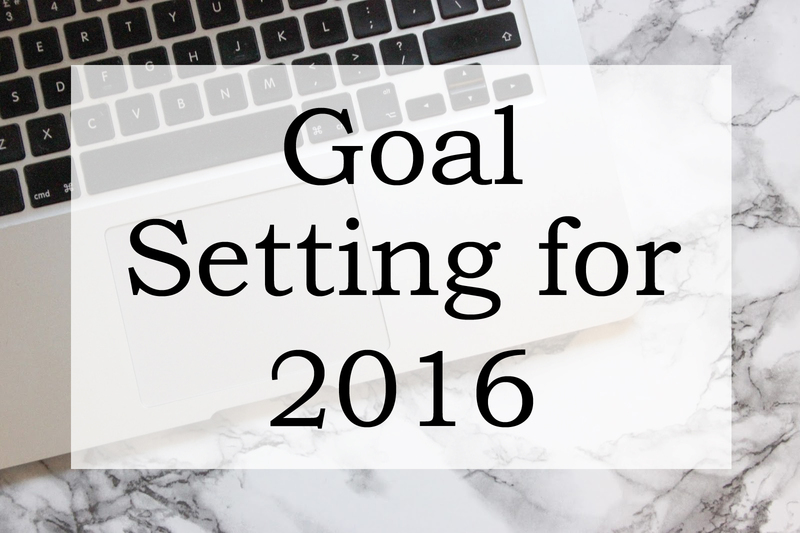 Even though we are already 9 days into 2016, I feel like I need to start this year again. I've started the year over my desired weight, skint and feel a little bit demoralised. I know that it is very common for people to feel glum when it is cold and wet outside and the days are especially short, but I didn't think it would be as bad as this! So therefore I am determined to change my mentality and set myself some goals. Yes, I know, there are a lot of these posts about and unfortunately there seems to be a bit of a negative stigmatism surrounding 'New Years Resolutions'; so as a result of that, I thought I would take some time to set myself some realistic and achievable goals. 1. Walk more. I am the worst because I avoid exercise at all cost. There seems to be so many easy ways to avoid doing it! But I think that the most realistic expectation for me is that I just try to walk more when I have the option to do so, even when it is raining. A good walk can do you good! 2. Swap unhealthy snacks for healthier ones. I think that because snacks are so cheap and accessible, people often pick up a biscuit or a chocolate quality street and think nothing of it. My will power has gradually got weaker and weaker and it is truly pathetic. If I get a little bit organised and bring healthy snacks with me wherever I go, then there will be no temptation to eat all those sneaky little snacks. 3. Be proactive, not reactive. I would like to believe that I am a pretty organised person - but everyone has their flaws. Although some people would laugh at the thought of me becoming more organised, I want to try and be proactive and a little less reactive. Sometimes I realise that I have forgotten to do something and then have to pull things together at the last minute and for me, there is honestly nothing worse. 4. Tell less lies. Now I am not saying that I am a compulsive liar or anything like that, but I do think that the odd little white lie is sometimes tempting or even necessary. In 2016, I want to be more truthful and accept the repercussions. It is definitely a more adult thing to do and I hope to learn a lot from it. 5. Travel more. Since living abroad a few years ago, I have longed to explore more new places. If you save a bit every month and keep your eyes peeled for a good deal then it can be so easy to go on a little trip abroad to a European country. As Johnny is a teacher, we do have to plan holidays for specific times of the year, which can be quite expensive. But I know that if we start looking and get organised then we can still get a good deal. 6. Spend more time on my own. In the last few years I have become a lot more content with spending time on my own. Sometimes it can be quite difficult for people in a relationship to cope with being alone as you are so used to having someone around; however, in the last few years I have taken real pride in my ability to still have a good time without Johnny, my friends or family around and I definitely want this to continue. 7. Finish things that I start. One of my problems is that I seem to think of things that I want to do and I concentrate really heavily on it, but then I move on to something else very quickly. I have so many hobbies, so for 2016 I would like to work out how to balance these and give enough time to each one, rather than dropping them when something else turns up. 8. Make more of blogging. With this goal comes more little goals. First of all, I definitely need to blog more and schedule posts in advance. Second, I need to socialise with more bloggers, and make the most of the opportunities that come from meeting bloggers. Then finally, I want to try to increase my following - this could be seen as quite a broad goal to have, but there are so many fantastic businesses, websites and individuals that provide some excellent advice and I'd like to take advantage of that to increase my following throughout the year ahead. Very annoying that I only have 8 goals, but I want to be realistic about what I can achieve in 2016 and I think that these 8 goals are something to look forward to. I don't think I should set a goal to spend more time with family, or spend less time on technology because they are things I think about on a daily basis! So hopefully I can look back at this time next year and feel proud of what I have achieved. What have you set yourself this year? I'd love to know in the comments! 8 goals seems plenty hun! By the way though, I'm more than happy for you to lie to me if I ask you if my bum looks big in something haha! I would like to believe that I am a pretty organised person.